Your holiday plans probably involve some egg nog, some parties and a little shopping. 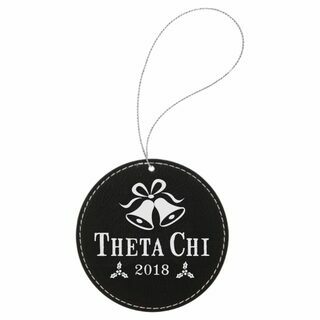 If trimming the tree is on that list, make sure you have plenty of Theta Chi Holiday Gifts and Christmas Ornaments at the house. 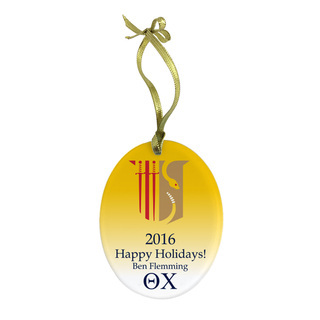 Wish each of your chapter brothers happy holidays by ordering a Design Your Own Glass Ornament imprinted with each person's name or nickname. This is a thoughtful and meaningful way to decorate your tree at the chapter house before you all leave for winter break. 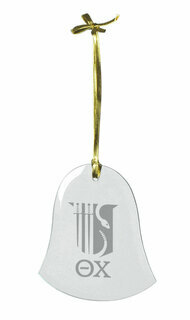 We also have Glass Bell Ornaments that are pre-made with your letters and coat of arms. 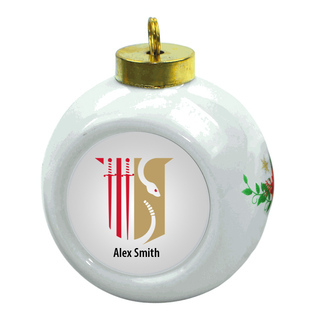 Another distinctive decorative item in this section is the Theta Chi Pewter Holiday Ornament, which features a charm hanging from a holiday wreath. At the center of it all is a colorful image of the organization's fraternal crest. 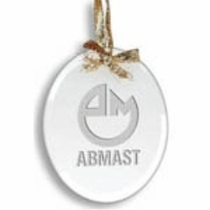 Ceramic Christmas Ornaments for fraternities are also available, including one that has a space for a chapter name and a tool for designing your own. For instance, if you and your fellow members take a group picture every December for the holidays, you can upload that image to your order. 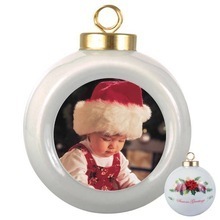 Have a wonderful holiday both at school and when you head home to see the 'rents this year over winter break. 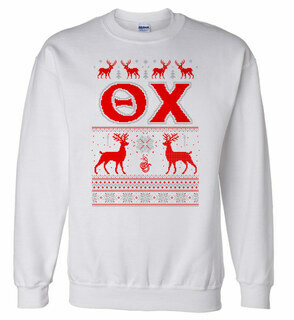 Make it extra special by ordering Theta Chi Holiday Gifts and Christmas Ornaments for yourself and the chapter. 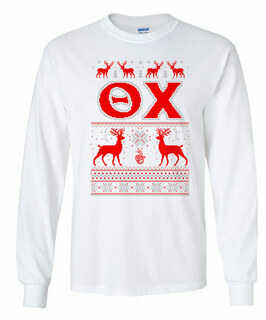 Theta Chi Holiday Gifts & Christmas OrnamentsThe Greatest Selection. Period.